The UCLA Library showcases many interesting Digital Collections from Medieval and Renaissance Manuscripts to Archive of Popular American Music. But, one collection in particular stood out from the pile: UCLA Historical Photographs. From the majestic Royce Hall to the artistic Sculpture Garden, the UCLA campus has served as inspiration and backdrop for countless photographs. As an amateur photographer myself, I would oftentimes just stop to appreciate the beauty of our campus. This is why it is so exciting to be able to see how the campus that we all love evolved in the past century. Although this repository is limited and very difficult to navigate, it offers very valuable insight. This collection of 278 black and white photographs of the land, people and happenings around UCLA was drawn from various collections in the UCLA University Archives. These pictures, dating from 1925 to 1982, covered many subjects from campus construction to alumni events, from commencement ceremonies to student organization activities. Thanks to the relatively accurate information we have on each photo, including date and brief context, we can many tell many stories. One intriguing topic that I would like to investigate might be the parts of UCLA that do not exist anymore, such as the Vermont Ave campus and the open-air Greek theater. Take Vermont Ave campus for example, I did not even know that the Vermont Campus existed, let alone it being the first actual campus for “UCLA”. We can see from these images how the people dressed, what they did and even the position of women in the education system. In fact, it is also fascinating for me to see the parts of campus that never changed, such as Royce hall and Powell Library, and their rise from the ground. This image shows the beginning of UCLA as we know it today. However, because we have a limited number of photographs, as well as a limited description of each photo, there are many stories that we cannot tell. For instance, it is interesting for me to see aerial views of the construction of campus and development of Westwood, and even the flight crew that took the pictures but it is difficult for me to tell a cohesive story about, say, the troubles of aerial photography in 1929. Luckily this problem can be easily fixed if I founded other primary and second sources to use in conjunction with this collection. 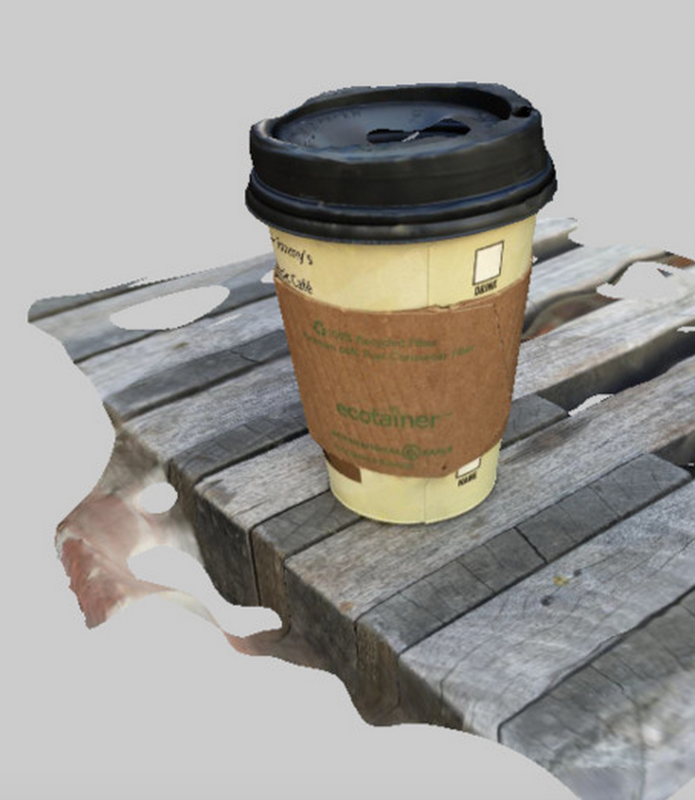 I created a 3D model of none other than a good old cup of coffee from YRL. Link to room and chair (focus): Not awesome as there are missing angles but the chair should be the point of focus. 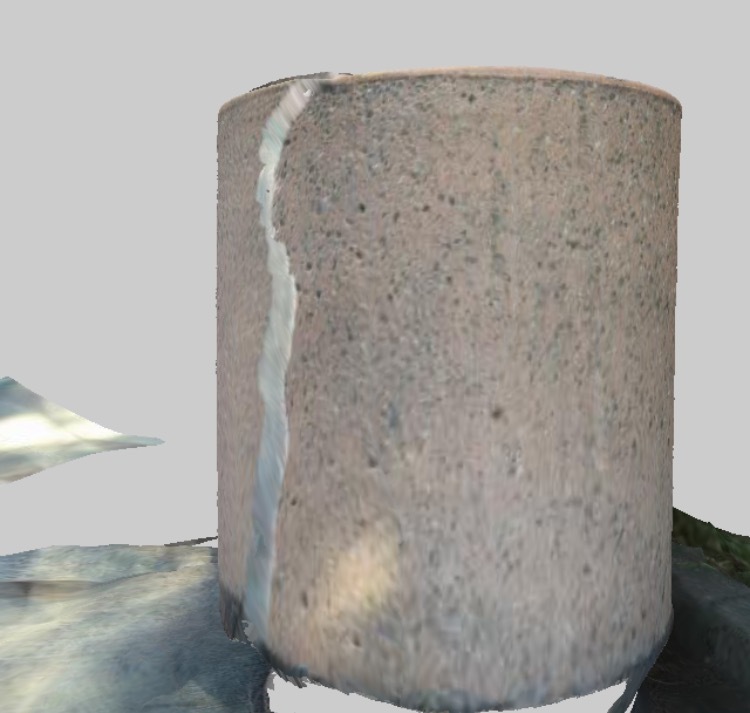 I must say that the application was easy to learn how to use, but a bit tricky to actually get results. 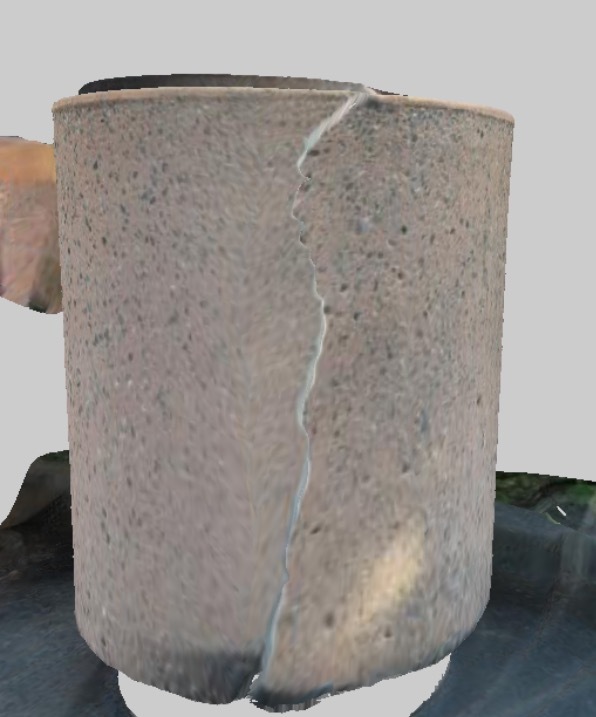 Once I took the pictures of the object I wanted to render into 3D, it took a while to process. When’s the last time you stopped and appreciated a trashcan? 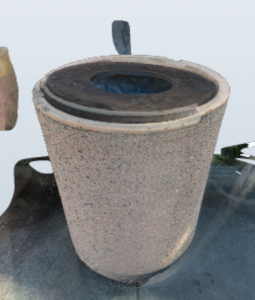 Here is Anna Dai and I’s 3D image of a trashcan located behind Dodd on the Pay By Space lot. It took over three hours for the images to process, but when it was done, Anna and I truly learned what it meant to appreciate a trash can. Another interesting thing we were able to notice was the detail we had neglected when taking the photo. The photo below shows a crack going down the middle, which we had not seen when taking the photo. This mean s that with such an application or program, we can emphasize and analysize small details that may be naked to the human eye, but can represent a very significant factor into a research study. 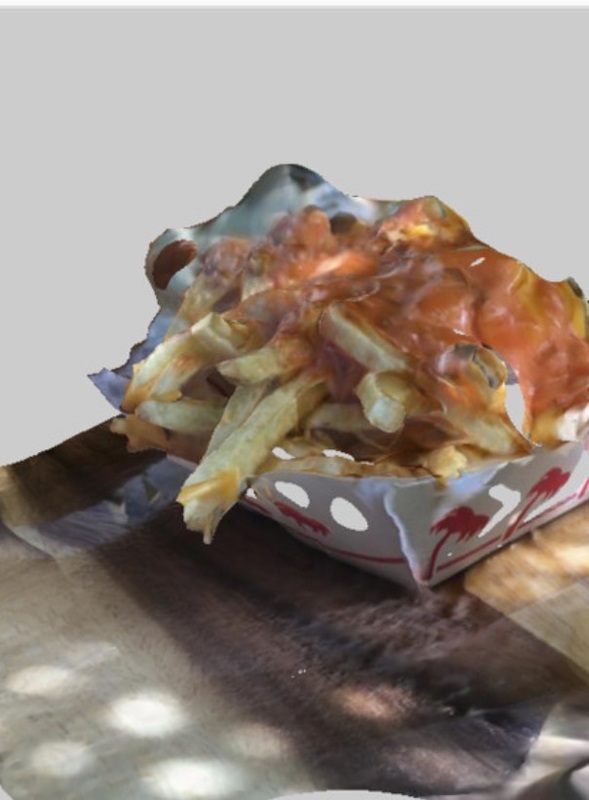 P.S: We would have liked more options to clean up the image even more to remove the unnecessary images around. 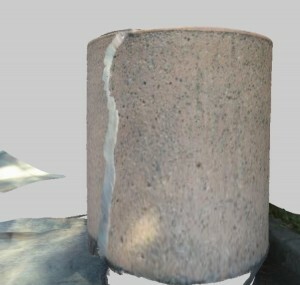 But we still learned a lot in what it takes to produce a 3D image, patience being the most. Thanks! 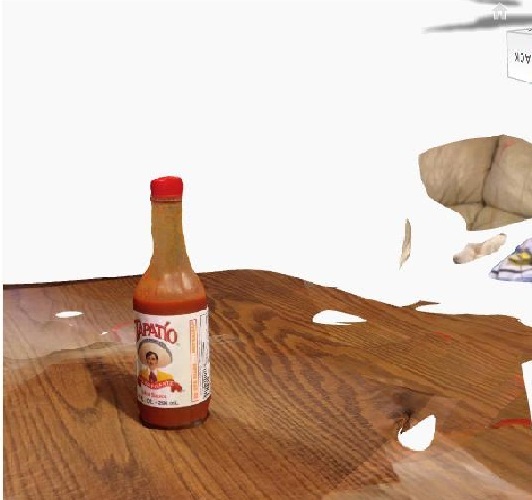 Adam Brownell and I made a model of Tapatio sauce, because why not.